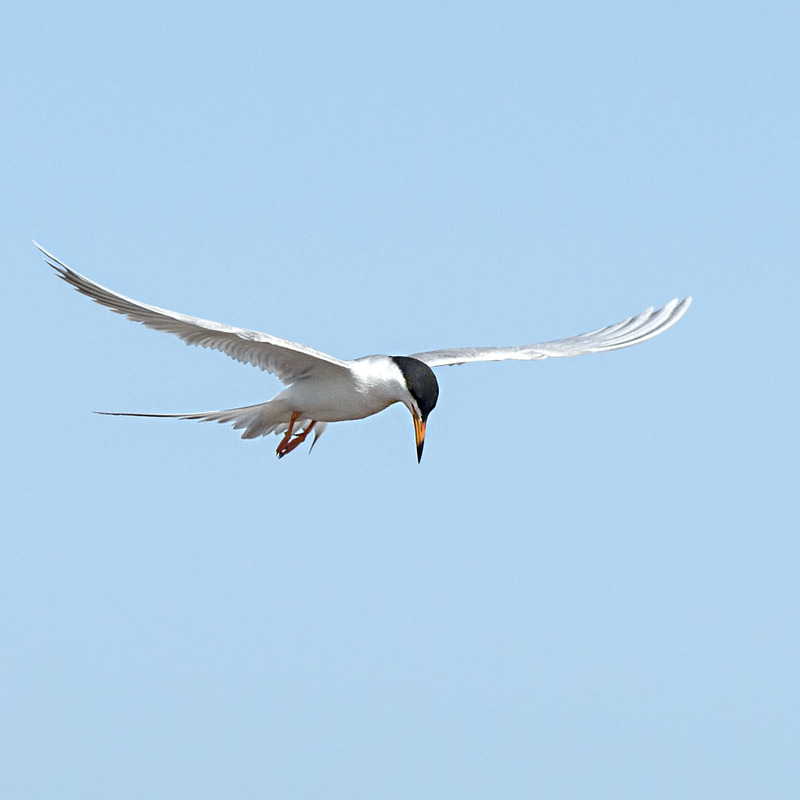 The Forster’s Tern is a bird we often see fishing in marshes, ponds and lakes as spring returns. We see them hovering high above just out of good camera range and then they dive into the water at a velocity that is hard to capture. After each dive they quickly return to work high above the water and keep at it with a persistence that is truely admirable. All I can say is look out below you fishes the pond because the Terns are back. Yes I agree grace and elegance all wrapped into a good looking bird. Watching (and photographing) terns as they hover and diver I could NEVER tire of. They do give me a run for my money with ID; we get both Common and Forster’s here. Thank goodness for photos and field guides! Yes, getting an Id on these guys is a chore. My usual mode it to photograph first then ID latter and even then it is alway not a down deal. They should show up here in E IA in May according to All About Birds. I’ve never seen one. I need to look more carefully over by the reservoir and river. Hi Jim, do keep an eye out for them as they are really fun to watch. May is only a month away. Indeed and very skilled. Wish I could spot little fish in a lake form 100′ above. Hope your doing well and wishing you a wonderful weekend. Hi Mary, we all gotta work for our meals don’t we. That is an awesome photo. Beautiful bird. I agree that these guys are beautiful and so elegant.